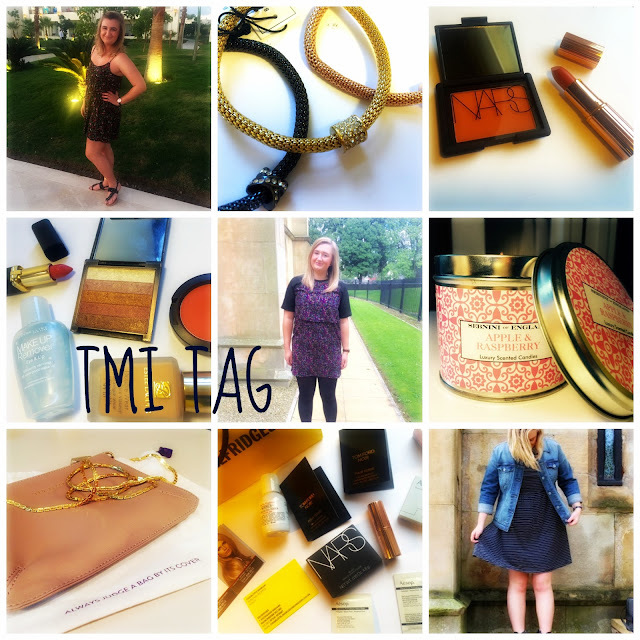 Thank you Emma for nominating me to do the TMI tag ! I have done anything like this in a while so I though I may as well :) Check out Emma's post here ! I am wearing my favourite All saints jumper, jeans and a scarf. I don't know what this means - and neither did Emma by her answer but I think its like a good match ? I don't know.. I don't really have one. I never know names of people ! Pinkkkkk - although you wouldn't be abel to tell looking at my boring dull coloured wardrobe ! Depends on my mood I suppose but probably loud. 5 minutes if its just a quick morning one but no longer than 20 if I'm washing my hair etc. I like to give myself an hour but I can be done a lot quicker. Sense of humour, you have to be funny and make me laugh! I have so so many. I hate being on my own, I don't like mannequins or people dressed up as statues in the street. I hate bats and pigeons and flying animals in general. I am petrified of spiders, this list goes on! I read two while I was on holiday last week but I cant remember the names as I read them on my kindle. Im not currently reading one ! I cant remember the last one I actually sat and watched fully, I think it was the big fat quiz of everything on Thursday evening. My mum :) we are always chatting ! I want to go to Thailand more than anything !!! Well I currently in Wales so I suppose the last place was back at home ! Im not sure. Actually a few days ago, I don't think it was intentional though. None, I used to play the Violin at Primary school. My Omega watch I received as a graduation gift from my parents. I don't know, probably something on the radio in the morning. I suppose I'm hanging out right now with my boyfriend and his family :).